4. Is your seafood tainted with arsenic? A study on "Arsenic in groundwater of Bangladesh: Contamination in the Food Chain" jointly conducted by the Department of Soil, Water and Environment of Dhaka University and the Common-wealth Scientific and Industrial Research Organisation (CSIRO) examined a thousand samples of crops, cereals and vegetables, a thousand samples of soil and 400 samples of water from 50 upazilas in 15 most affected regions. These samples were analysed in laboratories within the country and in Australia. The samples were collected from Rangpur, Dinajpur, Kushtia, Jessore, Faridpur, Laxmipur, Narayanganj, Rajshahi, Pabna, Munshiganj, Meherpur and Dhaka. Described by one public health expert as "the worst mass poisoning in history," some 36 million people have been exposed to elevated arsenic levels in the Ganges Delta region. According to the World Health Organisation, as many as 270, 000 may die from drinking arsenic contaminated water. But those figures could be far worse if food is also taking up the toxic element. "Up to now it's been largely ignored," says Andrew Meharg, a biogeochemist at the University of Aberdeen in Scotland. With colleague Mazibur Rahman, Meharg sampled soils at 70 sites throughout Bangladesh and rice from seven different regions. Where there were arsenic-tainted irrigation pumps, the pair found high levels of arsenic in soils. Rice from contaminated regions, contained dangerous levels of arsenic. Rice from elsewhere did not. Three samples contained more than 1.7 milligrams of arsenic per kilogram of rice. The maximum safe level for food in Australia - the only country with an arsenic food standard - is one milligram per kilogram. The Australian Centre is funding the on-going study, the first of its kind in the country, for International Agricultural Research. Dr Ravi Naidu from Australia, the team lead3er and Prof S M Imamul Huq of the Department of Soil, Water and Environment, DU, jointly carried out the research. But to our mind the probability of detecting arsenic in the food chain is one that should have been dealt with long ago, as this was a factor that was constantly ignored. Of course arsenic in the groundwater was possibly more challenging but ignoring the possibility of arsenic in the food chain also may have cost us a lot and not only time. Crops in Bangladesh are being contaminated with arsenic from water used for irrigation, according to research by Bangladeshi and Australian scientists. They found evidence of high concentrations of the poisonous substance in rice and vegetable plants. Contamination of drinking water affects around 20 million people in Bangladesh and the neighbouring Indian state of West Bengal (BBC, Arsenic Affecting Bangladesh, 6. 01. 02). As we recall we wrote a leader on this possibility as far back as 1997 and last year we wrote that scientists should focus not only on the problem of finding safe sources of water but also how to avoid arsenic getting into the food chain. Now it seems we couldn't have been more right as today researchers are saying about one-fifth of the population in most of the arsenic affected areas in the country are at risk of consuming arsenic in rice, wheat and vegetables and the only question left to answer is, are people affected by consuming the contaminated food? No doubt the answer to this will be yes as any longtime consumption of arsenic-contaminated food may damage kidneys, liver, lungs, bladder and other major organs of the body. That this is a matter great concern goes without saying as just by liking at the plants one cannot tell if they are contaminated or not. This is disconcerting as one is also unable to tell if the water used for irrigation purposes or cooking is contaminated. In the study, the researchers found that food cooked with arsenic-contaminated tube-well water contained a high level of arsenic. But they said that intake of arsenic by plants from soil varies from region to region. Some types of soil have a capacity for very strong bonding while others do not. So, arsenic released from soil to the plants is quite different. "We have detected significant amount of arsenic transferred from groundwater to crops", says Dr Ravi Naidu, although many crops are still safe. The researchers also studied samples of cooked food collected from the affected areas and found the level of arsenic in rice was 0.35 mg/kg, 0.81 mg/kg in vegetable curry, 0.33 mg/kg in spinach, 0.39 mg/kg in fish curry and 0.27 mg/kg in pumpkin. However as arsenic was not found in cooked lentil, brinjal and egg we can be grateful for small mercies. We now need to find out whether arsenic travels from the cooked vegetables into the human body and if it does, does it remain there or is it eliminated? The highest concentration of arsenic was found in arum, which was 150 mg per kg. The level was 5.1 mg/kg in bean, 20.1 mg/kg in tomato, 0.83 mg/kg to 1.1 mg/kg in papaya, 1.8 to 2.7 mg/kg in cauliflower, 0.05 to 7.2 mg/kg in cabbage, 1.9 to 4.5 mg/kg in leafy vegetables, red spinach and stalks of spinach, 1 mg/kg in wheat and 5.3 mg/kg of rice in the affected areas. The maximum allowable limit of consumption of arsenic through food by a person is 0.2 mg/kg per day. However, the study showed that potato, bitter gourd, brinjal, snake gourd (chichinga), kakrol, ladies finger, palwal, large leafy spinach, pumpkin, sweet potato, turmeric, ginger and green chili are safe as presence of arsenic in them are insignificant and does not pose a threat. Described by one public health expert as "the worst mass poisoning in history," some 36 million people have been exposed to elevated arsenic levels in the Ganges Delta region. According to the World Health Organisation, as many as 270, 000 may die from drinking arsenic contaminated water. Where there were arsenic-tainted irrigation pumps, the pair found high levels of arsenic in soils. Rice from contaminated regions, contained dangerous levels of arsenic. Rice from elsewhere did not. Bangladesh’s food grain production has increased by 270 per cent in the years between 1971 and 2005 –– a post-independent period when the country’s population almost doubled — according to official statistics. The most remarkable increase in grain production has been in rice, which rose to 26.18 million tonnes in the 2003-04 fiscal year from 9.77 million tonnes in the 1971-72 fiscal, according to the figures available with the Bangladesh Bureau of Statistics. The production of wheat has also marked a significant rise from 1.13 million tonnes in 1972 to 15.07 million tonnes in the 2002-2003 fiscal. Wheat production reached about two-million-tonne mark in consecutive years in 1998-99 and 1999-2000. During the period, the gap between demand for, and production of, food grain has diminished although the county is yet to achieve sustainable self-sufficiency in meeting the demand of 140 million people at present. The food shortfall was three million tonnes in 1972 when the country’s population was 75 million. Based on unofficial estimates, the shortfall of food is now around 2.5 million tonnes. The food item in which Bangladesh has been more than self-sufficient is potato. Its production increased to a projected volume of four million tonnes this season from 0.74 million tonnes in 1971-72. A new item has also been added to the basket of food items — maize. Bangladesh currently produces around 3.5 lakh tonnes of maize, though no formal cultivation of the crop was there in the 1970s. But the country still lags behind in producing pulses and onions in comparison to the rising demand of the ever increasing population. However, the cereal, production of which has been waning over the years, is barley. Its production was 21,000 tonnes in 1971-72 and is only 2,000 tonnes now. The production of onion was 1.57 lakh tonnes in 1971-72 and it has now slightly increased to 1.7 lakh tonnes. The current annual demand for onion is estimated at 5.5 lakh tonnes. Though the domestic production of pulses has risen from 2.5 lakh tonnes in 1971-72 to 3.44 lakh tonnes, it is far below the national demand by about 1.2 million tonnes. The officials of the agriculture ministry attributed the dependence on import of these two items to excessive focus on cultivation of rice, especially the high yielding varieties, during the rabi crop season when onion and pulses are cultivated. Rice production surged after the 1988-89 fiscal when rice output increased to 17.71 million tonnes (1989-90 fiscal) from 15.54 million tonnes in a single year. Its production crossed the two-million-tonne mark in 1999-2000. Despite the boom in rice production, traders have so far opened letters of credit for importing two million tonnes of rice during the current fiscal. 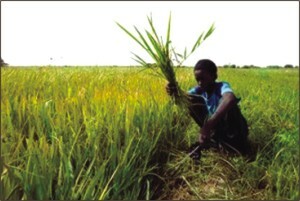 Agriculture ministry officials described this figure as controversial in view of local production. Self-sufficiency in food grain remains a contentious issue (Sidique, M.2005). In Bangladesh, rice and curry are usually cooked with a substantial amount of water which is sometimes contaminated with arsenic. Water that is not absorbed during rice cooking is discarded by inverting the cooking pan. Thus the actual amount of arsenic in cooked rice could not be either used, by chelating the arsenic in water by binding on rice grains, or decreased if water-soluble arsenic is released from rice into the water to be discarded. Since an adult Bangladeshi man consume an average 1500 gram of cooked rice per day, which contain at least one litre of drinking water, water intake through cooked rice would add substantially to the amount of arsenic ingested. Cooked rice and curry could be an important source of arsenic if it is boiled in arsenic contaminated water. Recently a research group reported that the amount of arsenic in cooked rice was 10 to 35 per cent higher than predicted, suggesting either that arsenic in the water is chelated by rice grains, or that the arsenic become concentrated during cooking process, because of evaporation. Furthermore, it would be raise concerns about the amount of arsenic retained in curry, the most popular dish, which is cooked with a large amount of water and simmered for a long time. It may be better to use less water for cooking foods. Also, people must use surface water (pond, lake, river water) for cooking and drinking purposes. Because heating kills all dangerous germs during cooking/boiling. Arsenic could not be removed or inactivate by heating/boiling. Rain water is a very good source of safe water. Surface water is comparatively free from arsenic contamination. Social workers/NGOs and teachers should teach the general people to overcome the severe arsenic problem in Bangladesh (Dr. Jahangir Alam and Khurshida Begum, Okayama University, Japan, The Daily Star, December 14, 2002). In an arsenic-contaminated area of northwestern Bangladesh, the residents depend heavily on rice for their caloric intake (about 70% of total), suggesting that rice is an important dietary source of arsenic. In our study area, and presumably many areas in Bangladesh and west Bengal, rice is usually cooked with a substantial amount of water, which is sometimes contaminated with arsenic. Water that is not absorbed during cooking is discarded by inverting the cooking pan.3 Thus, the actual amount of arsenic in cooked rice could be either increased, by chelation of arsenic in water by binding on rice grains, or decreased if water-soluble arsenic is released from rice into the water to be discarded. We did an on-site experiment to assess arsenic loss and fixation during rice cooking. We asked two people to cook rice in their usual way, in their own fireplaces. 500 g of raw rice (International Rice Research Institute variety 20) purchased at a local market was boiled in a type of aluminium pot usually used in the area, with water from nearby tube-wells. The cooks decided how much water to use and provided five samples of cooked rice. We measured total arsenic concentrations of the dry raw rice, wet cooked rice, tube-well water, and discarded water (two per sample of each) with an atomic absorption spectrophotometer equipped with a hydride generation system (AAS-HG) (Model Z4100 [Perkin Elmer, Norwalk, CT, USA]) after digesting the samples with a mixture of nitric acid, perchloric acid, and sulphuric acid. We analysed certified reference materials (National Institute of Environmental Studies, Tsukuba, Japan, number 18) to ensure the accuracy of the assay.2 The coefficient of variation for the replicates by AAS-HG was less than 4%. Also noteworthy is that the amount of arsenic in the raw rice was more than four-fold that of raw Japanese white rice, which contained only 40 ng/g. Therefore, 1500 g of cooked rice, which corresponds to roughly 435 g of raw rice, could provide an additional, substantial burden of arsenic. Results from our calculations suggest that cooked rice could be an important source of arsenic if it is boiled in arsenic-contaminated water. The amount of arsenic in the cooked rice was 10-35% higher than we had predicted (table) suggesting either that arsenic in the water is chelated by rice grains, or that arsenic becomes concentrated during the cooking process, because of evaporation. The largest increase of arsenic (35%) was in the only sample (number 5) cooked with a light lid made of aluminium, rather than ceramic. The ratio of arsenic in the discarded water to that in the initial water was highest in this sample, suggesting that more water evaporated from this sample than from the others. This finding, although from one sample, suggests that evaporation affects the concentration of arsenic in cooked rice. Furthermore, it would raise concerns about the amount of arsenic retained in curry, the most popular dish in the studied localities, which is cooked with a large amount of water and simmered for a long time. Our results suggest that rice prepared with arsenic-contaminated water might be an important source of arsenic, and that the cooking process could affect the amount of this element in cooked rice. Although the cooking method used for our samples is typical in this locality, a drawback of this study is small sample size; hence, a large scale study is required to validate our findings. Finally, we should note that a dose-response association between arsenic exposure and any health effects might overestimate the health risk of arsenic if the intake of this element from sources other than drinking water is not included. M Bae did chemical analyses. C Watanabe supervised fieldwork and did statistical analyses. T Inaoka, M Sekiyama, N Sudo, and M H Bokul did fieldwork. R Ohtsuka supervised and did the field survey. All authors assisted in writing of the report. The study was funded by Alliance for Global Sustainability, as well as by Ministry of Education, Culture, Sports, Science, and Technology in Japan. The sponsors had no role in design of the study, collection and interpretation of data, or preparation of the report. Arsenic in food chain:What is delaying a comprehensive mitigation strategy? Estimates of Bangladeshis exposed to high levels of arsenic vary from a low of 28-35 million to a high of 77 million, more than half the country's population. The World Health Organisation (WHO) describes arsenic contamination of groundwater as "the largest mass poisoning of a population in history" and the World Bank, as "one of the world's primary environmental challenges". The development partners have pumped millions of dollars into different arsenic mitigation projects since dangerous levels of the poison were detected in deep tube well water in 1993. The government and non-governmental organisations (NGOs) have undertaken separate projects to raise awareness of arsenic contamination, mark out the affected tube wells, develop test kits and, to a limited scale, treat patients of arsenicosis. Still, a huge majority in the affected areas drinks the poisoned water. They have little choice. While the mitigation efforts wobble along and the government struggles to come up with a comprehensive strategy, the arsenic crisis spreads its wings. Speakers at a recent international seminar have warned increased arsenic in soil and water may sneak into the food chain. What's more, naturally-occurring arsenic and arsenic-rich wastes, generated from a wide range of removal systems, which are often unsafe, pose a serious threat to public health. The speakers hit the nail on the head when they said although considerable work has been done on arsenic removal from contaminated groundwater and alternative water supply options, presence of arsenic in irrigation water has not received due attention. Such a limited outlook on the arsenic crisis boils down to absence of a comprehensive national strategy. The government has to initiate more research on arsenic contamination, both direct and indirect. Alongside detection of arsenic-contaminated deep tube wells, development of test kits and filters and treatment of arsenicosis patients, it should sponsor research into the possibility of the silent killer sneaking into the food chain. In a paper, scheduled to appear this year in the Water Resources Research publication of the American Geophysical Union, the authors have concluded that replacing the most tainted wells with deeper wells will eliminate about 70 per cent of the illness, assuming arsenic levels remain low in the deep wells. However, the possibility of arsenic percolation into the food chain points to another scary aspect of the crisis. It's time the government shored up its arsenic combat strategy. We like to put forward that scientists from abroad should not make a simple conclusion. As Charles Harvey says deep tubewell will reduce arsenic contamination. Most of the deep tube wells in Faridpur district are very highly contaminated. The deep tubewells of Faridpur water supply is one of the examples. There are more shallow wells are less contaminated than deep wells. "Almost 330 million people may be at risk in India and Bangladesh compared to 150 million as believed earlier," says Dipankar Chakraborti of the School of Environmental Sciences, Jadavpur University, Calcutta. Researchers from several Calcutta based institutions investigated water in the village of Semria Ojha Patti, in Bhojpur district, Bihar state—where tube wells were dug 20 years ago—and seemingly opened a Pandora’s box. They found its water similar to that in the highly contaminated wells of Bangladesh and West Bengal. The new findings have raised the question of whether the upper and middle plains of the Ganges plains are also affected. This would have serious implications as these are the most thickly populated areas of India comprising the states of Uttar Pradesh and Bihar. Arsenic contamination has also been reported from Chandigarh in northern India and the lower plains area of Nepal. The geological similarities of the middle and upper Ganges plains support a test of the hypothesis that the risk of arsenic contamination may involve the entire Ganges plain, say the researchers. But they caution that as not all water sources in Bengal or Bangladesh are contaminated, the entire Ganges plain may not be uniformly affected "despite our expectation that groundwater will be arsenic contaminated over a wide region." "We feel our present research may be showing only the tip of the iceberg," says Dr Chakraborti. Virtually every new survey finds new affected villages. "In 1988 we found just three affected villages. Further investigations revealed that by 2003, the number had risen to 4000 villages in India and Bangladesh," he said. The first cases of arsenic poisoning were reported in 1983, but now it is thought likely that more than six million people in West Bengal (in the lower Ganges) and 35 million in Bangladesh are drinking water contaminated with arsenic. Scientists have worked out how crops such as rice absorb arsenic, a finding that could help prevent people from eating dangerous levels of the poisonous metal. The same gene that helps plants fight off fungal infections appears to allow plant cells to absorb arsenite — the damaging form of the metal, a Swedish and Danish team found. "Our observations ... may provide a key to the development of low arsenic crops for food production," the team from the University of Copenhagen in Denmark and the University of Gothenburg in Sweden wrote in the journal BioMed Central Biology. Arsenic, a common and naturally occurring element, can build up in plants or in the bodies of animals and people to cause lung disease and cancers, even long after exposure. Contaminated water is the main source of arsenic poisoning followed by arsenic-rich food, especially rice that has been irrigated with water contaminated by the metal, the researchers said. Tens of millions of people in dozens of countries in the developing and developed world drink unsafe water containing arsenic levels above World Health Organisation guidelines, according to research presented last year at the Royal Geographical Meeting in London. The Scandinavian team injected yeast with the rice version of the gene that controls how cells absorb arsenite and then compared what happened in yeast without the product of this gene, called nodulin26-like intrinsic protein. Yeast with these "transporter" proteins accumulated arsenite while the others did not, said Thomas Jahn, a plant researcher at the University of Copenhagen who led the study. "This is the genetic proof," Jahn commented. This same gene also plays a protective role by allowing crops to absorb silicon in cell walls as a defense against fungal infections, he added. The findings could one day lead to genetically engineered crops that allow rice, for example, to accumulate silicon but not arsenic, Jahn said. "The plant is not able to discriminate between these very similar compounds — one of which is extremely toxic and the other which is extremely important for life," he said (Reuters, London, June 14, 2008). .
Today most of us are aware of arsenic contamination in groundwater and its ill effects on rural population of Bangladesh. In addition to Bangladesh where the situation is most serious, similar contamination has been reported in at least 19 other countries including India (West Bengal), Taiwan, Chile, Argentina, USA, inner Mongolia, New Zealand, Hungary, Nepal, Thailand, Cambodia and Vietnam. Arsenic is classified as human carcinogen by the Agency for Toxic Substances and Disease Registry (ATSDR), USA, the United States Environmental Protection Agency (USEPA) and the International Agency for Research on Cancer (IARC). Chronic exposure to high levels of arsenic has resulted into severe health effects including skin cancer, internal organ cancer, cardiovascular and neurological disorders. Ingestion and inhalation of arsenic compounds are common routes of exposure in work environments in certain industries, during wood preservation, agricultural use such as arsenic containing herbicides. But common population is exposed to arsenic mostly through drinking water and food. The maximum permissible level of arsenic in drinking water in Bangladesh is 50 microgram per liter. An individual drinking 2 liters of water in a day is ingesting 100 microgram of arsenic from water. Now consider the fact that the arsenic concentration (natural) in a typical lobster or shrimp is 20 microgram per gram. Someone consuming a 250 gram of lobster or shrimp is ingesting 5000 microgram of arsenic, which is 50 times the daily intake from water. Does that mean your favorite fish or seafood is contaminated with arsenic and unsafe for consumption? The answer lies in the understanding of a chemical term “speciation of elements” and relative toxicity. Speciation means specific chemical forms in which the element exists in a material. Neither all chemical forms of an element is toxic to the same extent, nor all forms of an element are metabolized by mammals after ingestion. Toxicity depends on the specific chemical form of an element. Methyl mercury is more toxic than inorganic mercury. Chromium (VI) and butyl tin are very toxic while chromium (III) and inorganic tin are not. The toxicity of a substance is indicated by median lethal dose (LD50) which indicate the dose that is lethal to 50% of experimental animals. Arsenic can exist in the environment and biological system as arsenous acid (As(III)) , arsenic acid (As(V)), monomethyl arsenic acid (MMA), dimethyl arsenic acid (DMA), arsenocholine, arsenobetaine and about a dozen type of arsenosugars. Arsenosugars are predominant form of arsenic in marine macroalgae. Arsenous acid produces arsenite ion As(III) and arsenic acid produces arsenate ion As(V) are inorganic arsenic and the rest of the arsenic species mentioned above are organoarsenic. The LD50 for As(III) is about 14 milligram per kilogram of material, while it is over 10,000 milligram per kilogram for arsenobetaine. The lower the number more toxic it is. The toxicity of arsenic species varies in the order arsenous acid > arsenic acid > MMA > DMA > arsenocholine > arsenobetaine. Only a few milligram of arsenous acid can be lethal to someone, while ingestion of a tablespoon of arsenobetaine does not create any adverse health effect. Marine organisms, fish and seafood contain arsenic mostly in the form of arsenobetaine and after ingestion it is readily excreted through urine without being metabolized by human. So enjoy your lobster or shrimp dinner without worrying about arsenic. It is apparent from the above discussion that the total amount of arsenic in a food or any material is misleading and often doesn’t tell you the whole story. Estimation of environmental impact, human health risk based solely on the determination of total concentration of arsenic in a material is not reliable. Rather assessment of the level of toxic exposure to an individual warrants complete speciation of arsenic in food or consumables. Unfortunately, the groundwater in Bangladesh contain mostly (`95-98%) arsenite As(III) and arsenate, the most toxic form of arsenic. Organic arsenic (MMA, DMA) are present at trace level. Since arsenic laced groundwater has been abundantly used in irrigation in a number of regions in Bangladesh, arsenic has found its way into the crops and food. Again, assessment of health risk associated with consumption of rice, vegetables, other food items must take into consideration of speciation of arsenic in it. Our own work on speciation of a few samples of rice from Bangladesh indicate the predominant presence of arsenite, followed by the presence of arsenate, MMA and DMA. 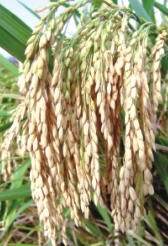 In a recent report from Jadavpur University (Kolkata) indicated the presence of arsenobetaine in rice from Bangladesh. What happens after ingestion of inorganic arsenic? What is the fate of ingested arsenic? Researchers are still trying to get the answers to these questions. The understanding of toxicokinetics, fate of ingested arsenic in human body and detoxification of arsenic are crucial in developing strategies for patient care, treatment and saving lives. Ingested inorganic arsenic are bound to thiol containing proteins. Inorganic arsenic undergo biotransformation inside the body. This biotransformation occurs in a number of steps and the process is specifically known as biomethylation. In a series of biochemical reactions catalyzed by very specific enzymes inorganic arsenic is transformed into a number of organic arsenic species. The metabolism of arsenic involves conversion of arsenate to arsenite, which then adds a methyl group from a donor, converts to MMA, which in turn adds another methyl group from the same donor to convert to DMA. The end products for primary and secondary methylation processes are MMA and DMA respectively and these are easily excreted through urine. Hence methylation of arsenic is considered an effective detoxification pathway for arsenic. The compound s-adenosylmethionine (SAM) acts as the methyl donor in the body and the enzyme that facilitates the addition of methyl group is methyl transferase. Many a times we hear, drinking from the same tube well, different members of the same household show varied clinical manifestations. Human body has a complement of SAM and it participates in 40 different methylation reaction in the body. Different members of the same household have different amount of SAM and methyl transferase and it is no wonder they have different capacities to methylate and detoxify arsenic. Someone with poor methylation capacity will detoxify less, retain more arsenic and show more symptoms of arsenicosis. Within the last four years researchers have identified a host of other methylated arsenic in urine from arsenic patients, namely, MMA(III), MMA(V), DMA(III), DMA(V), where III and V are two chemical states of arsenic in these compounds. Of these, MMA(III) is believed to be the most toxic. However, this species is very unstable and believed to convert to MMA(V). The methylation somewhat stops up to the formation of DMA for human being. It is interesting to note that there are considerable variation in the methylation capacities among animals. Rats, mice, dogs, rabbits, hamsters show very efficient methylation. On the other hand Guniea pigs and Chimpanzee are unable to methylate arsenic. Lack of appropriate enzymes have been attributed to the inability to methylate arsenic. There are considerable variations among tissues in methylation capacities in human. Liver plays a vital role in methylation. However, most methylation activities have been observed in kidney, liver and lung. What happens to SAM after giving its methyl group? It is converted to s-adenosylhomocysteine (SAH). In order to continue the methylation process and excrete arsenic, SAM must be regenerated. It is obvious that in the event the SAH does not convert back to SAM, the effective removal of arsenic from the body cannot continue for long. The SAH converts to homocysteine which in turns adds a methyl group supplied by 5-methylene tetrahydrofolate (MTHF) in presence of Vitamin B12. By gaining the methyl group homocysteine converts to methionine. Finally methionine converts back to SAM in presence of specific enzyme (SAM synthase). The regenerated SAM can continue detoxifying arsenic or any toxin in the body. Two important points must be mentioned here. First, the MTHF, folates, Vitamin B12 are supplied through food (fresh green leafy vegetables, fruits) or supplements. Methionine is furnished through consumption of protein rich food (chicken meat, egg). Is it any surprising that we constantly hear good nutrition can combat arsenic poisoning. How much of it can be afforded by rural people and most arsenic patients is another issue. Second, the homocysteine formed from the SAM is a vasoconstrictor, causes hypertension. So if homocysteine is not converted to methionine, a build up of homocysteine can lead to cardiovascular disease. So, improved nutrition, vitamin supplements can help a patient fight arsenic poisoning. Of course the patient must stop drinking arsenic contaminated water in the first place. The urinary arsenic tells recent exposure of arsenic. However, measurement of total arsenic in urine cannot tell the whole story. Urinary arsenic is a mixture of inorganic arsenic (arsenite, arsenate) and organic arsenic (MMA, DMA), and some arsenobetaine from fish consumption. The analytical technique for quantification of these key metabolites is complex and often challenging. It involves separation of components by high performance liquid chromatography followed by sensitive detection by atomic absorption or atomic fluorescence emission or mass spectrometry technique. Using the advanced technique of high performance liquid chromatography and atomic fluorescence spectrometry, the author has carried out (at Exonics Technology Center, Uttara, Dhaka) extensive speciation to identify As(III), As(V), MMA, DMA in over two thousand patient urine samples from twenty Upazilas in Bangladesh. The characterization and quantification of arsenic metabolite study was carried out by the author with funding from the UNICEF, Dhaka. The desirable condition is to observe a high percentage of metabolite in the form of methylated arsenic. More DMA in urine indicates a better methylating capacity, better metabolic activity and better detoxification ability. In general it has been observed that younger patients (age less than 20 years) are better methylator than their older counterparts. In our cohort in some subgroups, we also observed that men are better methylator than women. Traditionally in rural families men have better nutritional status than women. It is possible that the differences in detoxification ability we are observing are tied to their nutrition intake. A number of studies in the past reported that people with better nutrition (with higher level of arsenic in their drinking water) developed less arsenicosis symptoms than those with poor nutrition and less arsenic in their water. in addition, vitamin, folate supplements should be provided to lactating and child bearing mothers. In conclusion, speciation of key arsenic metabolites in patient samples identify important biomarkers for arsenic removal capacity of an individual. This information should be taken into consideration in providing supplements and improving patient’s detoxification ability. Speciation of both inorganic and organic arsenic in food or consumable products permits better assessment of toxic level and health risk posed by arsenic in this materials (Dr. Dr Mohammad Alauddin, New Age, 2006)).